1983 Ka-Bar Knives Ad - Ka-Bar Was There! 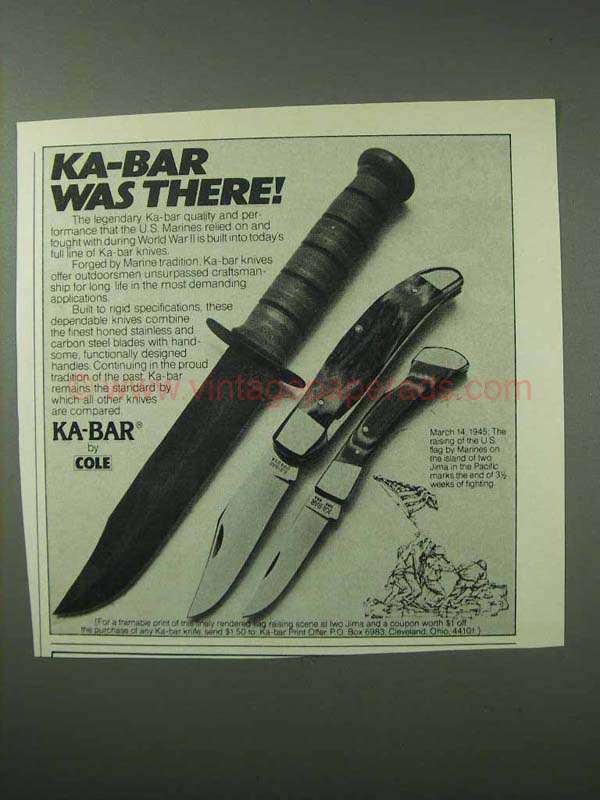 Vintage Paper Ads > Guns - Hunting > KA-BAR > 1983 Ka-Bar Knives Ad - Ka-Bar Was There! This is a 1983 ad for a Ka-Bar Knives! The size of the ad is approximately 5x5inches. The caption for this ad is 'Ka-Bar was There!' The ad is in great condition. This vintage ad would look great framed and displayed! Add it to your collection today! 1986 Ka-Bar Knives Ad - U.S.M.C. Fighting Knife U.S.A.